CLH Developmental Support Services supports over 1400 people across all ages. Infants, toddlers, and children up to the age of 12 who attend a licensed childcare programs are supported through our county wide Resource Consultation Services. We have locations across the County, including Collingwood, Alliston, Bradford, Barrie, Orillia and Midland. This service is Free of Charge and is funded by the County of Simcoe. Adults receive support in Community Activities Program suited to their individual needs. Elements of supports range from self-care, daily living skills, centre based & community day activity and supported employment. Residential Services are provided for 90 adults in group homes, 36 Supported Independent Living settings, 4 of which are supported in Family Home Program settings. School aged teenagers access our summer program where both work and life skills activities are enjoyed. The numbers vary from year to year. We also provide support on an ongoing basis to a number of adolescents and their families through our Transitional Aged Youth (TAY) Program. With the addition of this program, youth and adults are supported with transitions throughout their lives. Please click through the services and programs below to learn more. Our supports are family-centered and based on the needs of the child and family. We respect the values and choices of the family, build on the strengths of the child and work in partnership with the family. We strongly encourage and promote inclusion within the community. Our catchment area for Resource Consultants is all of Simcoe County. Families can refer directly using the fillable form. Professionals can also make a referral on behalf of a family with parental/guardian consent. If you have any questions or concerns regarding your child’s development or would like to make a referral, please contact: Sue Neilon. Community Activity Participation Supports (CAPS) is a support service providing individuals with a broad range of social and recreational opportunities in and around their local community. Monthly social, recreation events are shared with all individuals participating in the CAPS program. Individuals are given a schedule of options to choose from to meet their individual preferences. CAPS services focuses on including and supporting everyone to experience social and recreational activities in order to enhance skills, build new friendships and stay active. For program information please contact Rob Smith. CLH Developmental Support Services supports over 90 people in 20 residential settings including Penetanguishene, Midland, Port McNicoll, Waubaushene, and Victoria Harbour. In addition, 4 individuals are supported in the Family Home Program, and 36 people in the Supported Independent Living Program, 4 of which receive specialized supports through Dual-Diagnosis SIL services.The type of support an individual requires depends upon their specific needs. Some people live on their own with minimal support from staff, others live with families, such as in the Family Home Program, while still others reside in group homes that are staffed on a 24 hour basis. Accessing the residential programs is undefined as the intake is done through the DSO program. As the people we support age, their support needs continue to become more medically complex with no increased funding. CLH continues to rely on donations to CLH Foundation to assist with the upgrades to homes and accessible transportation so that the people we support can continue to age in their homes. By providing our supported adults with the environmental changes required to enable them to continue living in their homes and their community where they have established themselves, built relationships and made memories- it affords these individuals the means to increased independence, empowerment and dignity. 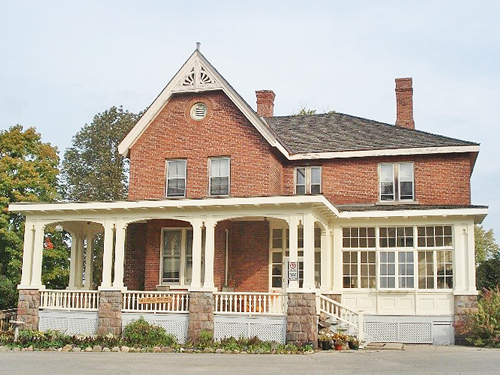 A provincial resource, Pineview is a Dual Diagnosis Treatment home offering an intensive support model to those struggling with challenging behaviours.Working in collaboration with Mackenzie Health Centre for Behavioural Health Sciences, the Pineview support team consists of a Behaviour Technician and Behaviour Consultant through CBHS (Centre for Behavioural Health Sciences), as well as a team of highly motivated and dedicated support staff from CLH Developmental Support Services that provide the daily support and implementation of recommended programming. Utilizing the bio-psycho-social model, the clinical team meets weekly to look at all the pieces that make an individual an individual and uses this information when creating the treatment plan for the individual as well as ongoing individualized supports. Pineview strives to uphold the intended timeline of treatment, up to a one-year placement, as well as includes a supportive transition model to successfully integrate the individual back to their home community and ensure that all supports put into place at Pineview will continue to be utilized upon discharge. Working in collaboration with Waypoint Centre for Mental Health, Beacon transition house offers a secure and supportive environment where individuals who have found themselves in the forensic system can transition successfully and safely from the forensic system back into the community. Beacon House is a 2-bed transition program offering personalized supports and goal driven learning to assist the individual in achieving personal growth while reintegrating into the community. Enriching the lives of the individuals living at Beacon, the highly dedicated staff team work with the individual to transition from the forensic system, whether high or low risk index offences, back into the community. 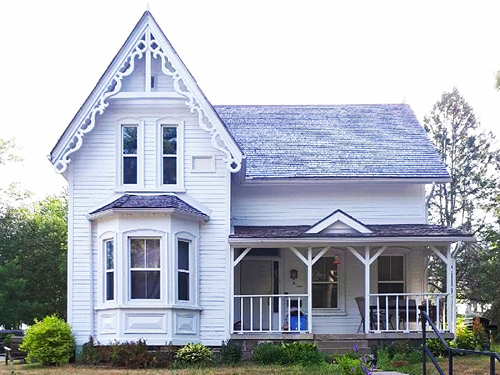 This home was created through a joint initiative with the Ministry of Health and Long-term Care and Ministry of Children, Community and Social Services. For program information please contact Joe Lang. Our Supported Employment Programs assist individuals 18 years of age and over explore/obtain and/or maintain employment opportunities. Our Support Staff work directly with the individual and the potential employer to ensure mutual satisfaction. We connect potential employers with suitable employees. See what we offer job seekers and employers. For most students, leaving high school can be a very emotionally charged experience. They must look to the future while at the same time often feel reluctant about leaving the stability of their current environment. Students with support needs also face these challenges and usually need extra support to enable them to cope with this major step. Planning for this transition should begin as early as the young adult’s first year of high school. The assistance of staff, such as guidance counselors, special education resource teachers, community agencies and other school personnel, can all be important components in reaching success.Areas that need attention include possible plans for post-secondary education, employment, volunteer work or and other type of meaningful daytime activity. With a purposeful plan, many doors can be potentially opened to a young person that might otherwise remain closed to them. The Transitional Aged Youth (TAY) Program operated by CLH Developmental Support Services provides support to young people with support needs between the ages of 16 to 21 in their school to adult life transition. The TAY co-ordinator acts as a support/resource to the teen, family, school and community agencies. The young adult’s interests are explored, skills and abilities are assessed and plans are made through the Person Directed Planning model to assist in meeting goals for the future. Supports and resources are put into place based on individual preferences and interests. Time limited funding is available for training and staff support. Community resources are used whenever possible to meet the needs identified. Through new partnerships developed between the players, plans have been put into place before a young person leaves the educational environment. This early planning has opened up a wide variety of options and helped to alleviate many of the fears the young adult and his/her family may have about the future. With the assistance of the TAY Program the transition from high school for a young person with support needs can be a smooth and rewarding one. Person Directed Planning is an ongoing process that begins with listening to better understand what a person wants in their life. It builds on dreams, strengths, abilities and possibilities. It focuses on the development of relationships and recognizes community as a place where we all live together. The process helps everyone understand what is of value to the person and how participation and contribution to community can be realized. Person Directed Thinking and Supports have been woven into our governing philosophy and is an integral part of helping those we support live satisfying lives. We hold the belief that people have their own unique strengths, abilities and gifts and also the desire to be a valued member of their community. We continue to learn more about making dreams a reality by challenging ourselves and others as we actively seek better ways to serve the people we support. Supported Independent Living (SIL) services are offered to people who are living independently in the community. Staff are available to offer support in budgeting, shopping, meal preparation, medical appointments and community participation, based on the identified needs of the person supported. The hours of staff support fluctuate based on the needs of the individual. The Host Family Program provides an alternative accommodation option for adults with developmental support needs. The program is designed to enable the individual to live in a home with non-family caregivers who can provide them care, support and supervision. All placements are monitored by CLH to ensure the needs of each person are met. If you require more information, please contact Rob Smith. 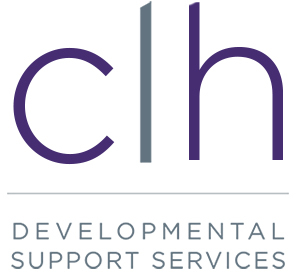 CLH Developmental Support Services serves as the accountable agency for the Community Networks of Specialized Care – Central East (CNSC – CE). The CNSC – CE provides coordination and linkages to supports to adults with a developmental disability and high support and complex care needs (HSCCN) in Simcoe, York, Durham, Haliburton, Kawartha and Pine Ridge. Providing provincial coordination of videoconferencing and French Language specialized resources. Care and support from childhood through all transitions to develop healthy, happy adults. A strong emphasis on building a solid team of volunteers who love supporting our community. Ongoing staff and administrative learning and growing to provide the very best services. A strong emphasis has been placed on further developing our volunteer base. Presently, over 150 individuals volunteer for CLH, and we are proud that there are over 20 volunteer placement opportunities in our community for the people we support. Our CLH supported volunteers are in the community for the same reasons you or I are: to give back to their community and build lasting friendships. I like to volunteer with my friends, it makes me feel good. I volunteer for the CLHFoundation, I am happy to help with fundraising. I enjoy volunteering with youth. Teen Camp is more than your average summer camp, it provides experiences and socialization that means more than words could ever describe.